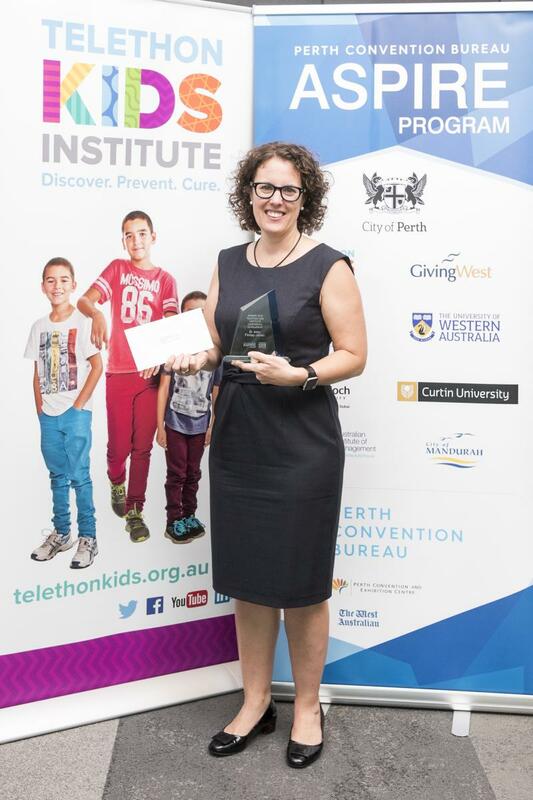 Amy is a Post-Doctoral Researcher at the Telethon Kids Institute (TKI) and is completing a Master of Health Economic. Since mid-2016, she has been a post-doctoral research fellow in the Fetal Alcohol Spectrum Disorders (FASD) Research Australian Centre of Research Excellence (CRE). Amy is a member of the Australian Clinical Psychologists Association, the WA Association for Mental Health, and the International Association for Youth Mental Health. Amy will use the award to travel to Sweden to attend the ESSENCE 2018 Conference. The ESSENCE 2018 conference focuses specifically on research related to very early diagnosis and intervention for children at risk of neurodevelopmental disorders, which is strongly aligned with the core themes of the “Think Big” program of research Amy is co-leading. By attending the conference, Amy will present TKI’s emerging program of work and invite collaboration with international leaders in the field and support to bring together leaders in Perth in 2019/20.